My message was picked and I am so super excited about it. They asked for people to tell them what they would like to be on the sign. 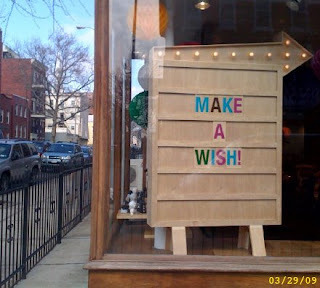 So I posted on there blog that I thought the marquee should say "Make a Wish!" and they used it.